You know how you feel when something you’ve taken the time to make from scratch comes out a little, ahem, sub par? Turns out homemade yogurt is DEFINITELY NOT one of those things. For the entire last week I have feasted on thick, luscious, creamy yogurt. Yogurt and berries. Yogurt and granola. Yogurt marinated chicken. I’m guessing you’re a little skeptical. I was too. But if you’re looking for a brand comparison, this recipe turned out to be very similar to the Greek Gods honey yogurt line. 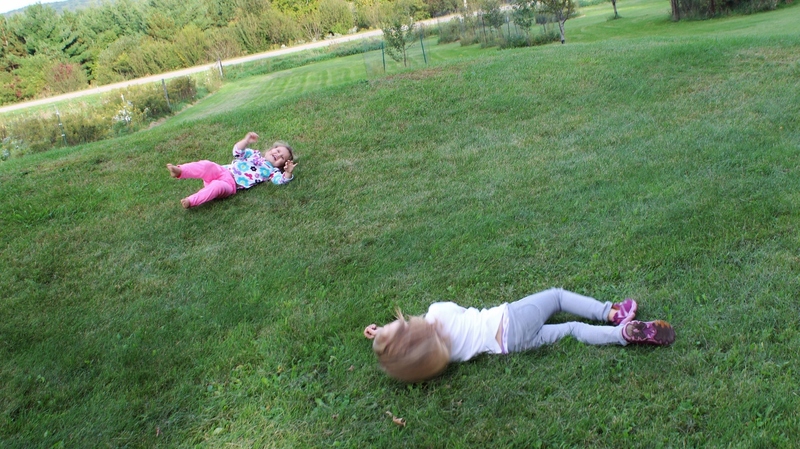 The active work time was minimal, although it did require a little babysitting. But the result? Definitely worth it. I’m going to post the plain, whole milk version that my friend Lacey showed me last week. 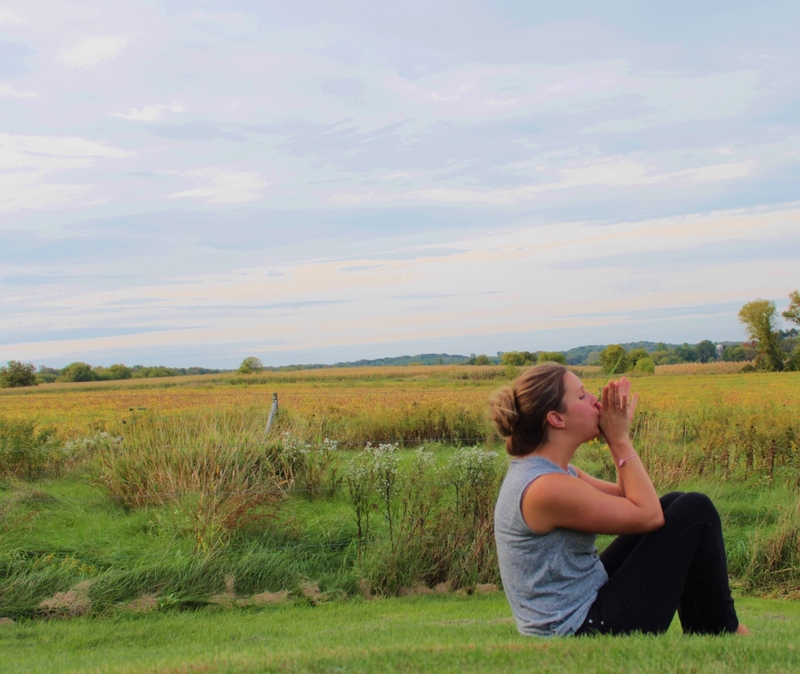 Check out the updates at the end for how different flavors and milks have turned out for me so far. Equipment: kitchen thermometer (one that gives a constant read on the milk temperature), stock pot, strainer, cheesecloth or thin linen kitchen towel, and something to keep the yogurt in at a steady 110 degree temp – crock pot with temp settings, turkey roaster, oven, food dehydrator, actual yogurt maker, etc., container/s to store the finished product. 2. Remove 180 degree milk from heat, and allow to cool to 120 degrees. 3. Add 1 cup of yogurt to the milk. Whisk to incorporate. 4. Get ready to incubate. This might take some extra leg work, but it’s possible. I happened to have an awesome 1970’s vintage food dehydrator the size of a giant microwave (thanks Jody O!) that had a temp setting on it, so I just slid the whole pot inside, set the temp, and shut the door. My friend Lacey uses a turkey roaster that she tested and marked on the dial when it kept water at a consistent 110 degree temp. You can try the same thing with a crock pot. Or you might get lucky and have an oven that goes that low. Or you could be really fancy and buy a yogurt maker that takes the guesswork out of the equation. 5. Set up a strainer over a large mixing bowl. Cover the strainer with cheesecloth (or a really awesome embroidered dish towel.) Strain for 30-60 minutes. 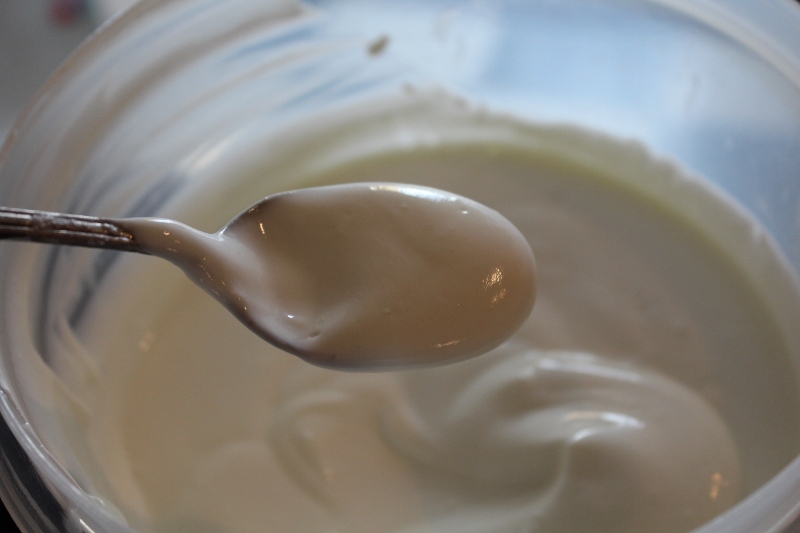 The yellowish liquid you strain out is the whey, which can be saved for other endeavors. It can also be used as the starter for your next batch of yogurt. Just label it so that others don’t mistake it for lemonade if you leave it in the fridge. 7. 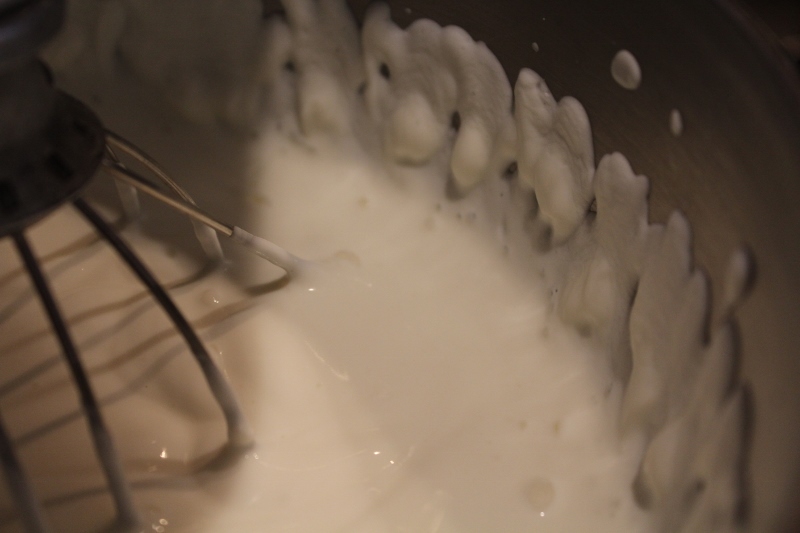 Whisk the finished yogurt. (I used my Kitchen Aid with the whisk attachment the first time, but soon realized that a regular hand whisk does the same thing without dirtying another bowl.) Side note – I did find some weird stringy bits attached to the whisk when I lifted it out. 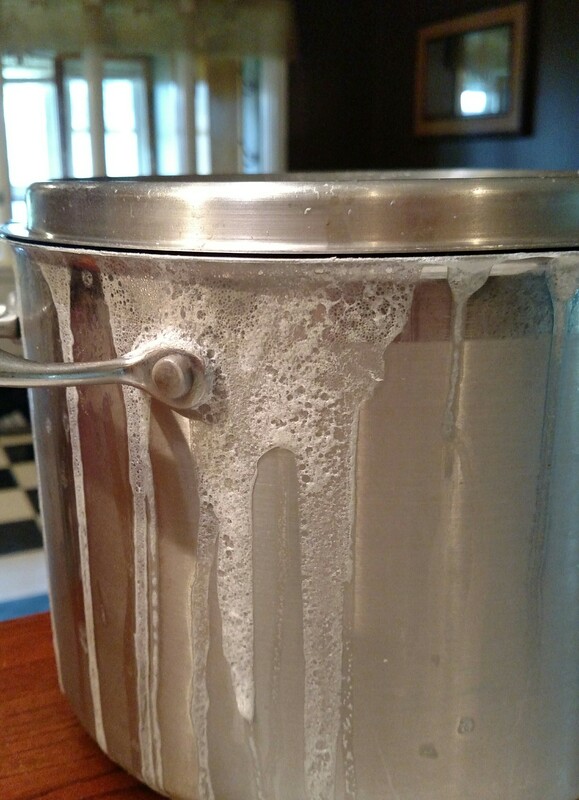 I think this was the skin of the milk that formed during the initial heating. Lesson learned – occasional stirring is important. 8. Refrigerate, store, and serve. I went with the sweeten as you go method for this batch, which gave me freedom to serve it to everyone in my house. Since the twins are under a year, I used a berry puree to flavor their bowls. Ellis, Jason and I all used honey or ate it with granola. And leaving it unsweetened meant I could use it while cooking. I quickly discovered that my family has a sweet tooth. Hence I grabbed bottle of agave syrup at Walmart and put 2/3rds of a cup into my next batch during the incubation phase. This makes it sweeter, but not overwhelmingly so. I’ve also added a half tbsp of vanilla during incubation. I’m not sold that that’s the right ratio, so I’m still working on it. 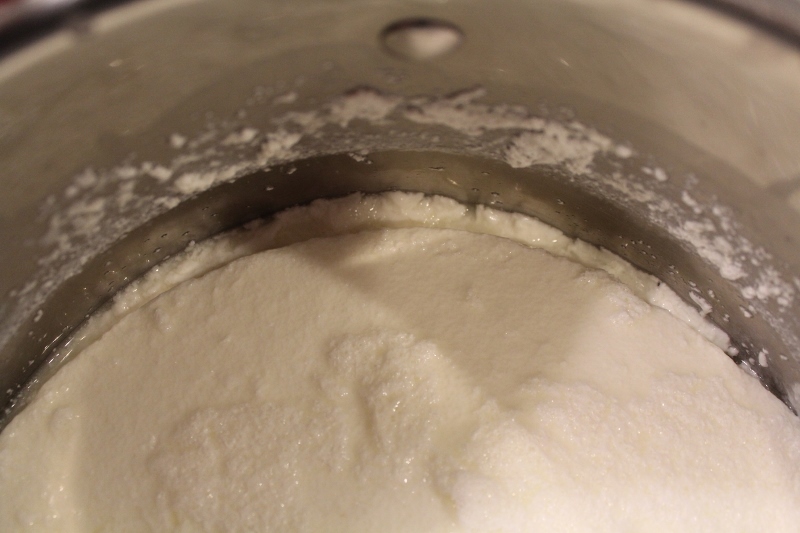 I’ve also done a couple of batches with 2% milk, which turns out great – just not as rich.